Find out what happens after Beowulf becomes king in The Coming of the Dragon, a YA historical fiction novel by Rebecca Barnhouse. Inspired by the tale of Beowulf, The Coming of the Dragon takes place many decades after Beowulf’s battle with Grendel. The story follows Rune, a boy who, as a baby, washed up on shore in the land of the Geats. One woman, Amma, took him in as her own. But Amma was a secretive woman. She kept secrets from Rune that he deserved to know—secrets about his identity. One evening, while chasing their goat far beyond the outskirts of their farm, Rune ran into a stranger who seemed to know more about Rune than Rune knew about himself. After escaping the stranger, Rune witnessed something that made his blood run cold—a dragon. Someone had woken the dragon. Rune spent the night traveling to the stronghold to warn King Beowulf about the dragon. But he was too late. The dragon had already burnt the King’s golden hall, killing some of his men. And when Rune returned to his farm the next morning, he found nothing but ruin—Hwala, the man who owned the farm; and his two sons, Skyn and Skoll, were scorched. And Amma, his beloved Amma, was gone. It was then that Rune swore to avenge Amma. Even if it took all his strength, bravery and willpower, he would kill the dragon. 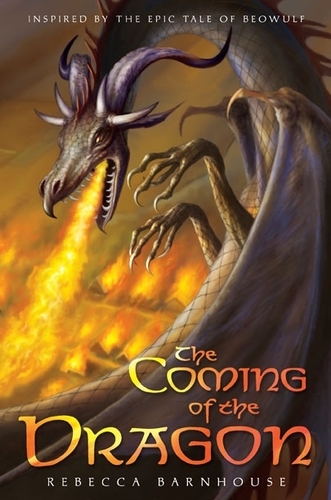 The Coming of the Dragon read like the next chapter in the epic tale of Beowulf, only it was written by a modern day author. The story is great for anyone who loves to read historical fiction, epic tales or books about dragons.